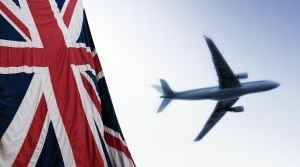 UK companies are expanding globally and working to better cover their overseas staff. Just over one-in-five employers (21%) say they’ve sent more employees abroad over the past few years. Another 13% are looking to increase overseas assignments in the near future. The BRIC nations continue to be popular and, reinforced by this study, 41% of UK employers are considering expansion into China or India and 25% are looking at Russian as an option. Despite the goal to increase global workforces, 68% of UK employers describe the relocation process as challenging and 60% see foreign rules and regulations as their biggest headache. Moreover, the survey data shows a high risk of international assignments failing with over half of employers (51%) having seen international assignments fail. Understandably, it is quite difficult trying to account for all possible moving mishaps. Dealing with moving logistics and health concerns is essential but culture shock the core issue you cannot overlook, especially considering that cultural (37%) and language (26%) barriers are two main reasons for employees returning home. Some other widely offered benefits include housing (78%) paying moving expenses (72%), arranging schooling (52%) and life insurance (40%). “It’s crucial that companies appreciate that not all products on the market are the same and we would encourage them to do the necessary research to ensure they buy the right coverage to suit an employee’s individual needs and circumstances,” said Rogers. This means employers will need to do their research and offer appropriate benefits to staff if they hope to sustain global expansion efforts. Interesting, over half (55%) of companies are targeting new international markets and 29% believe they can make more money in overseas markets. There is definitely money to be made abroad. By building the proper structure for medical, financial, and personal support for staff, you will see fewer failed assignments and more money in your company’s wallet. Proper staff coverage will yield bigger profits, i agree with this point. More you give in,better the results you get..